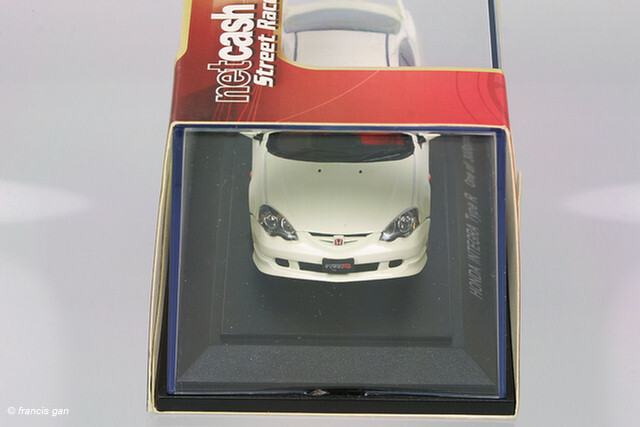 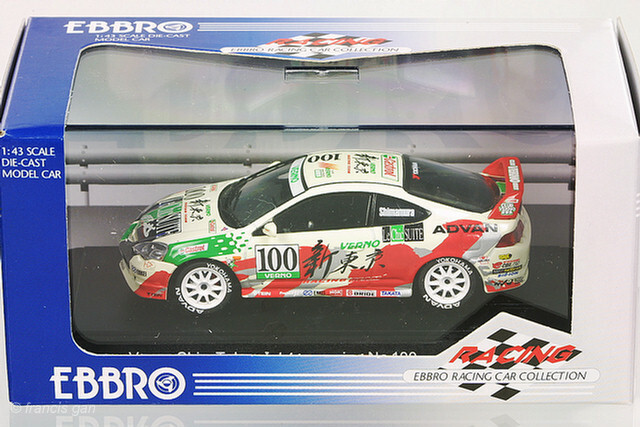 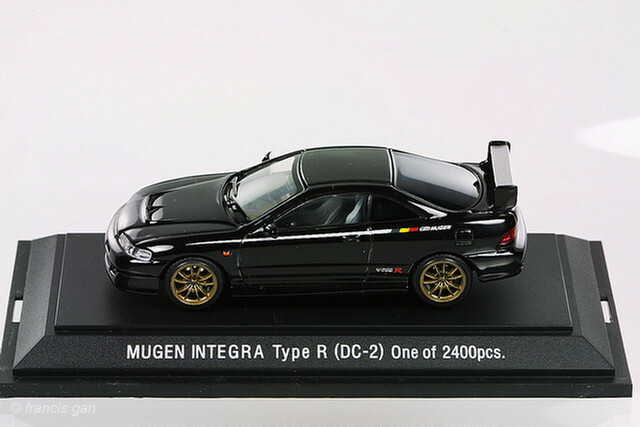 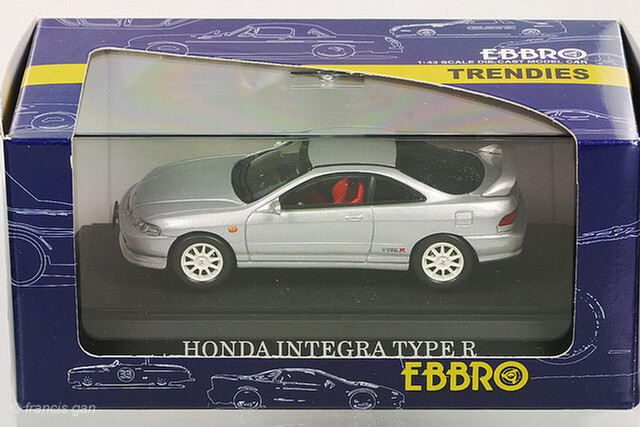 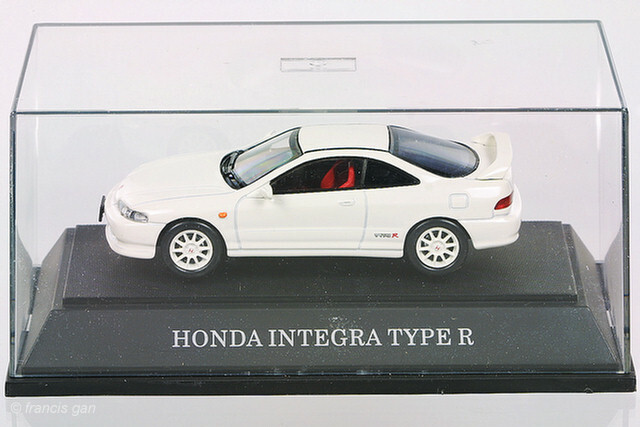 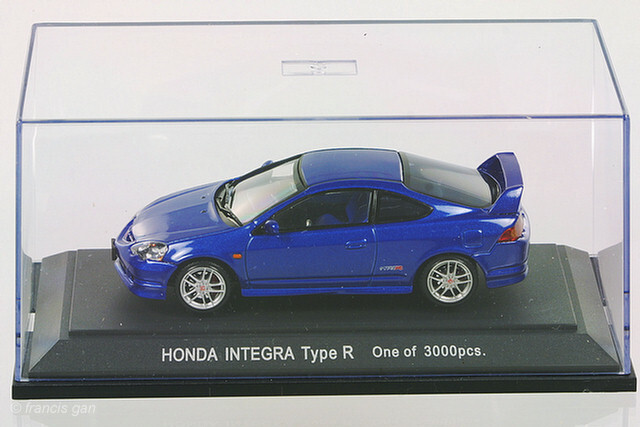 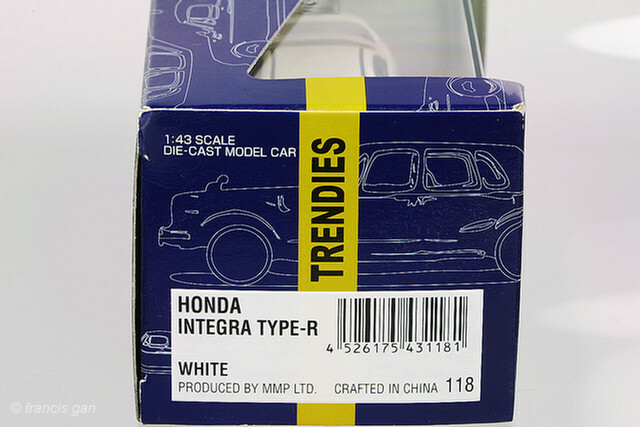 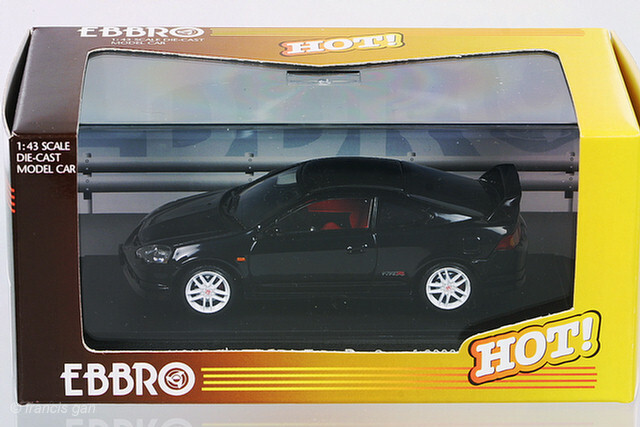 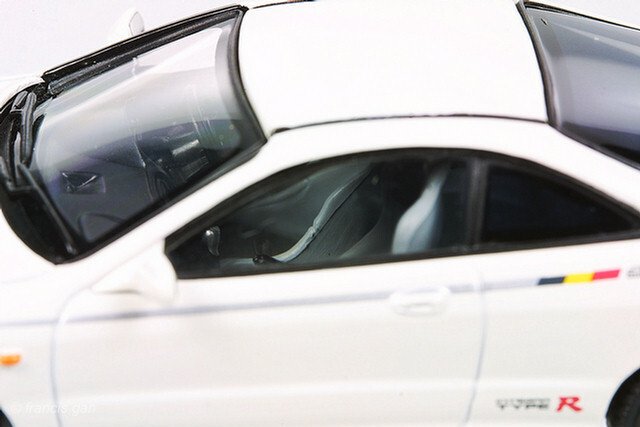 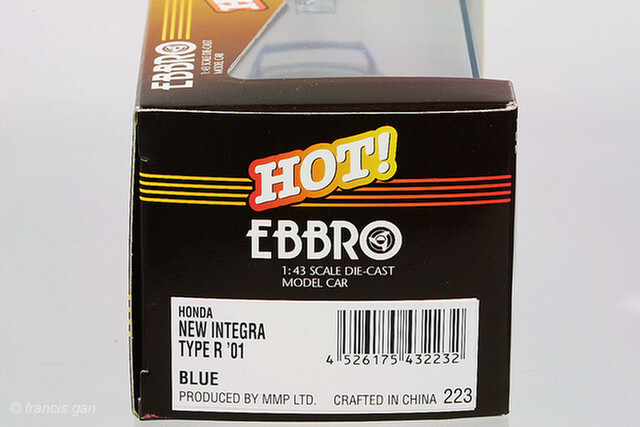 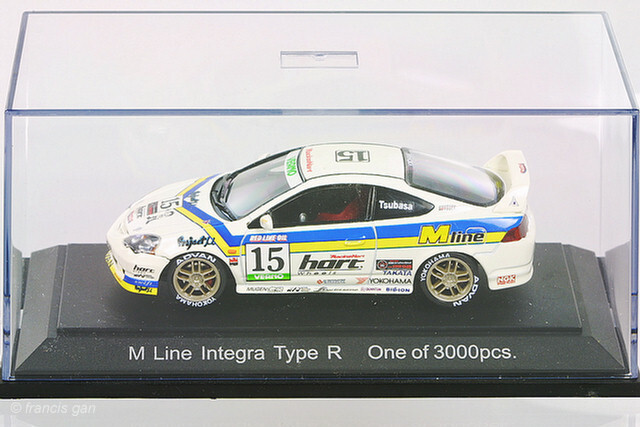 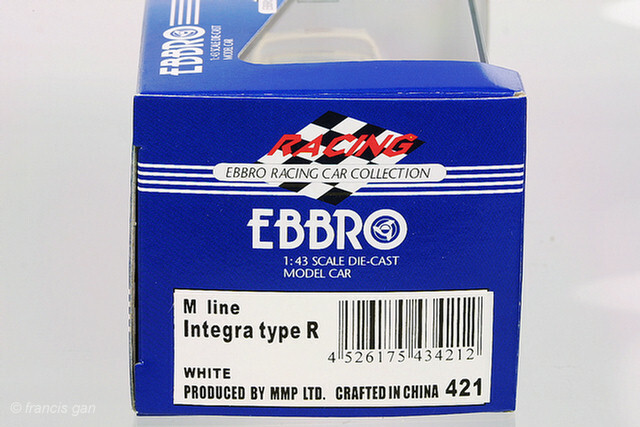 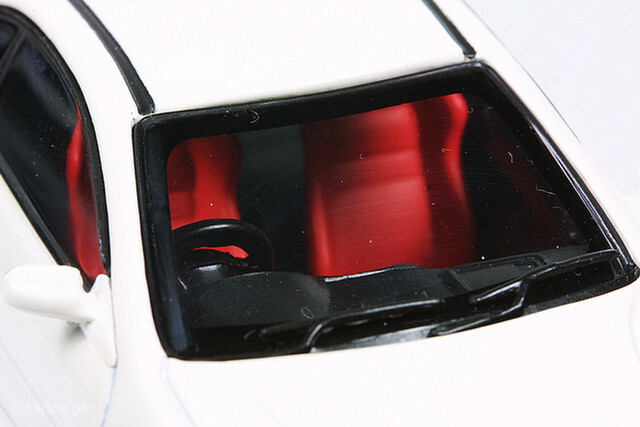 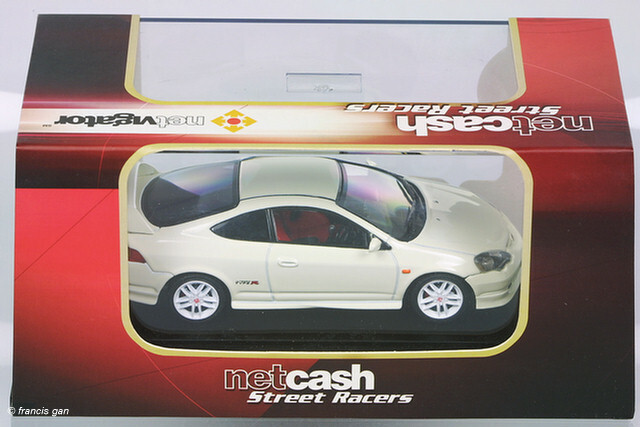 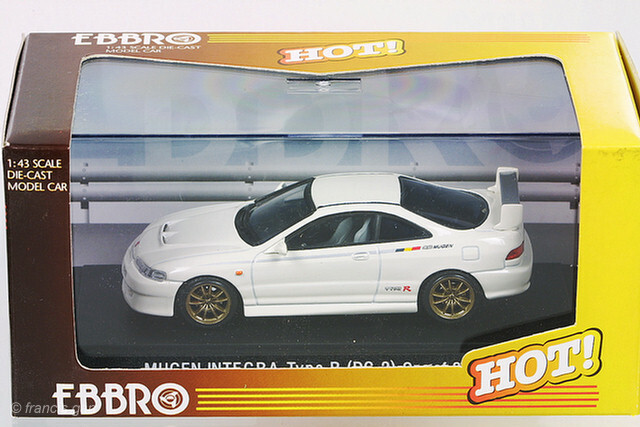 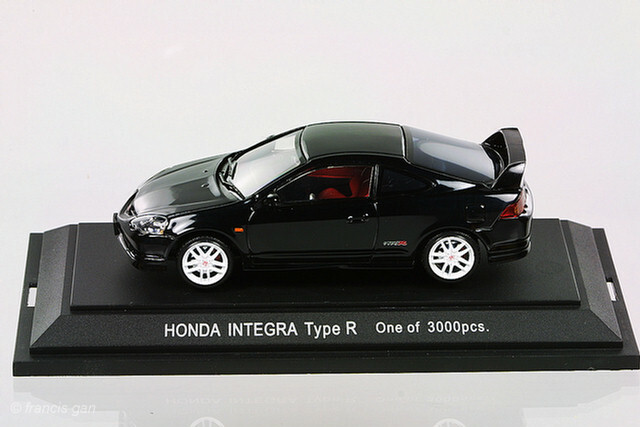 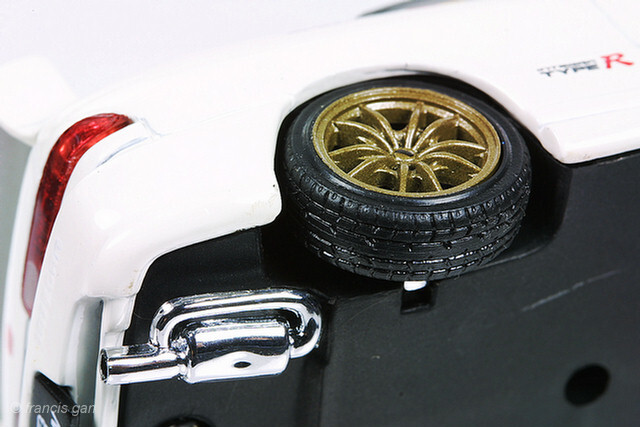 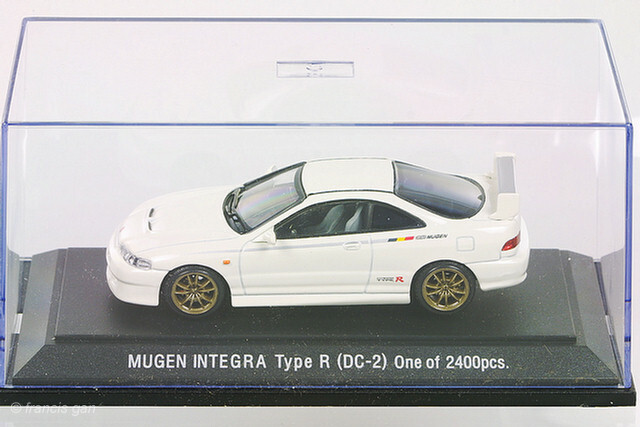 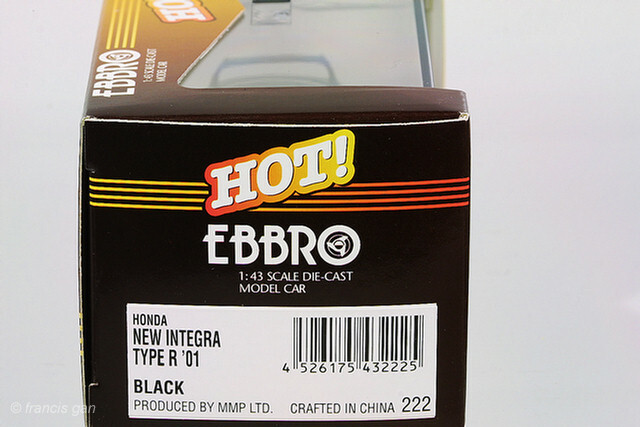 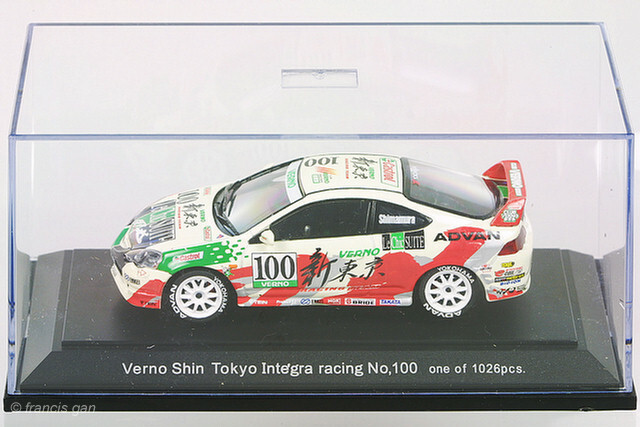 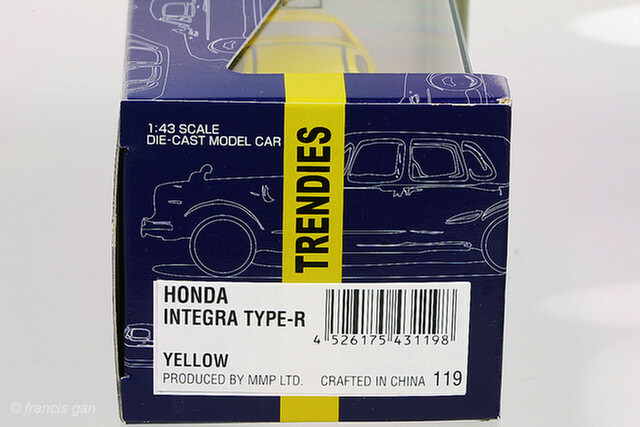 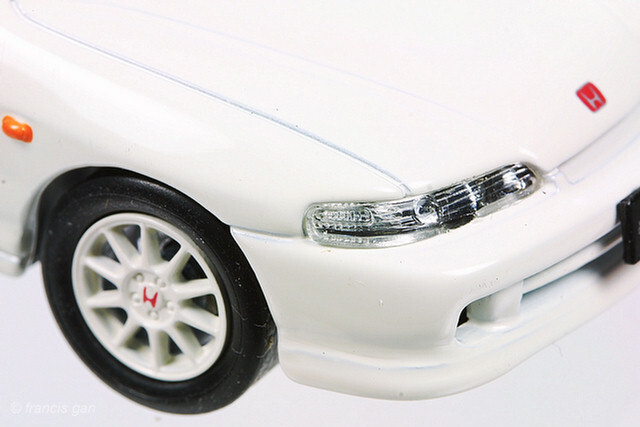 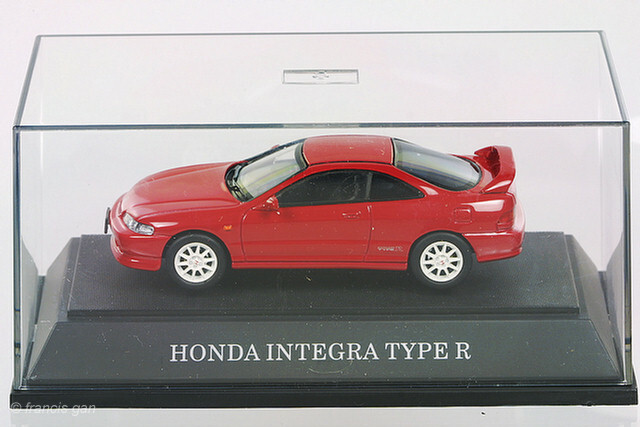 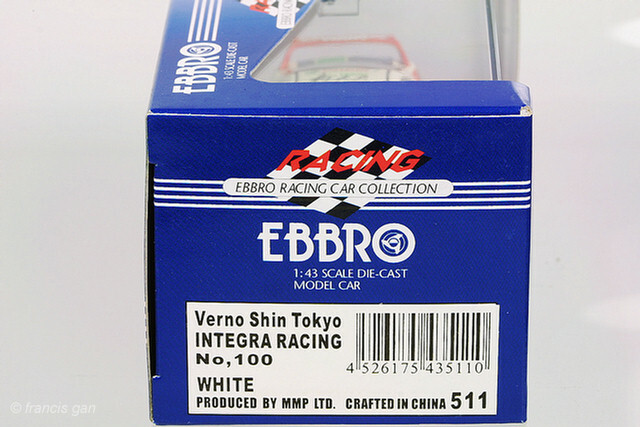 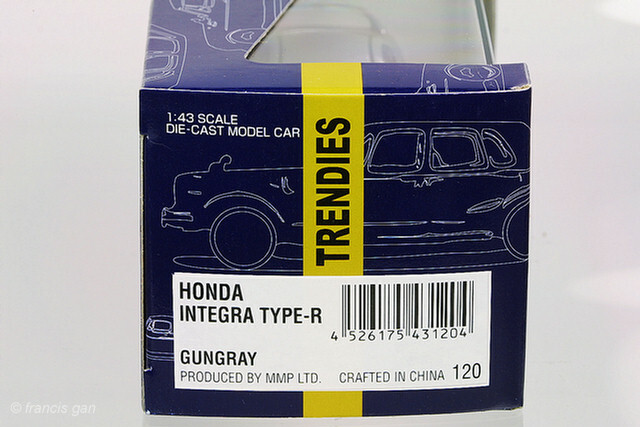 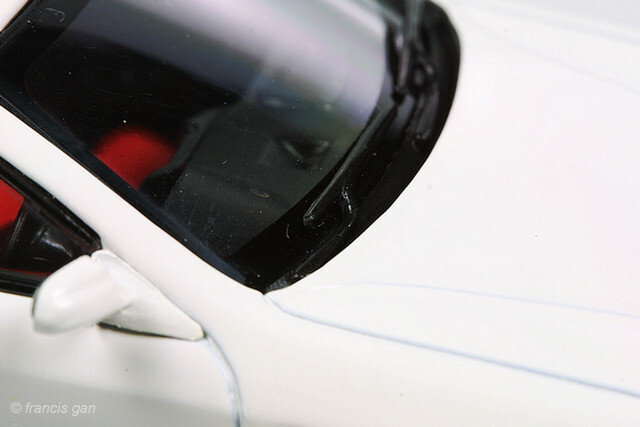 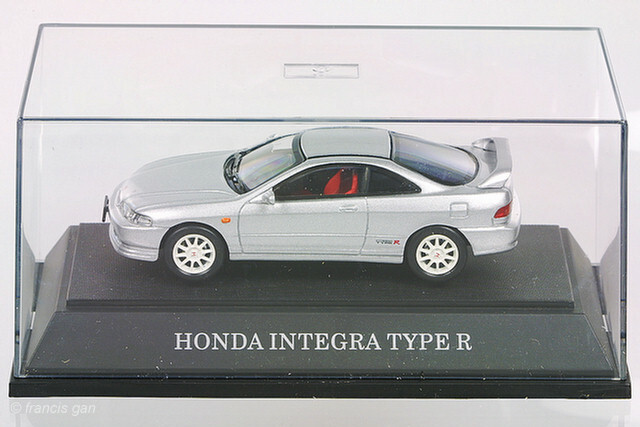 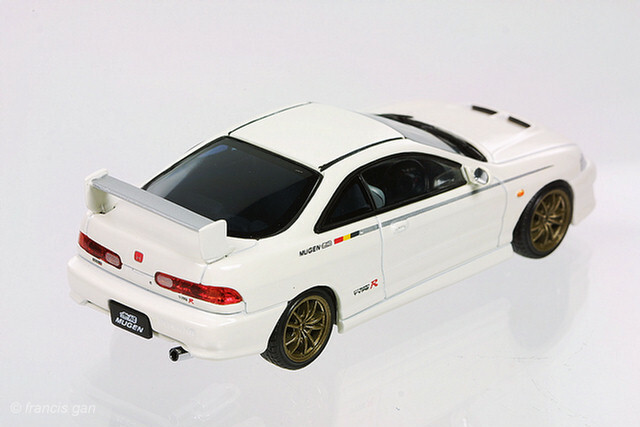 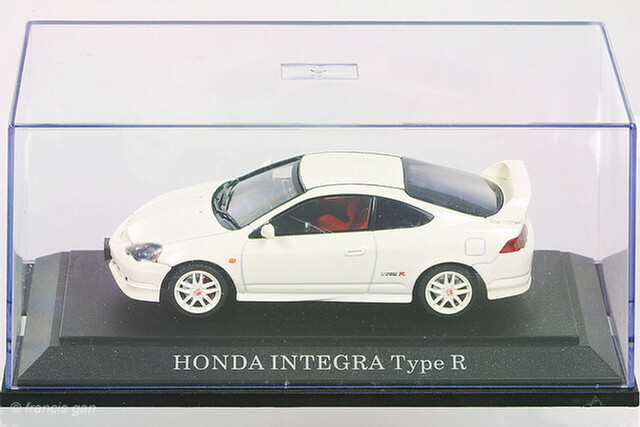 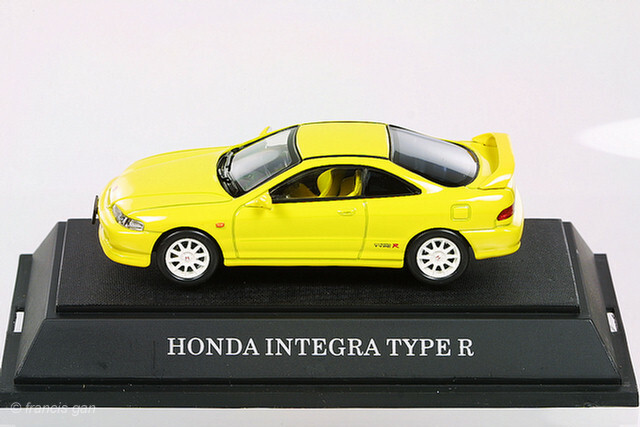 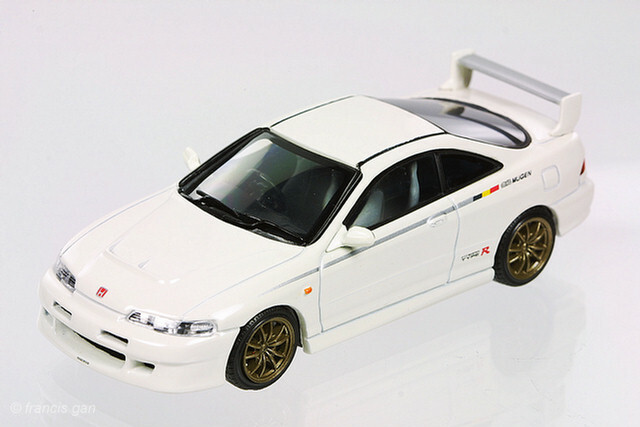 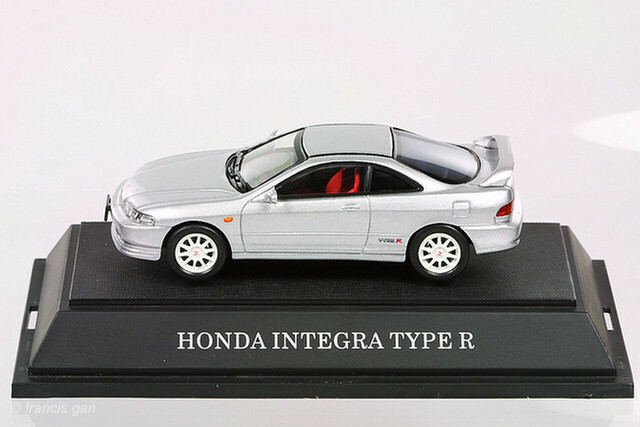 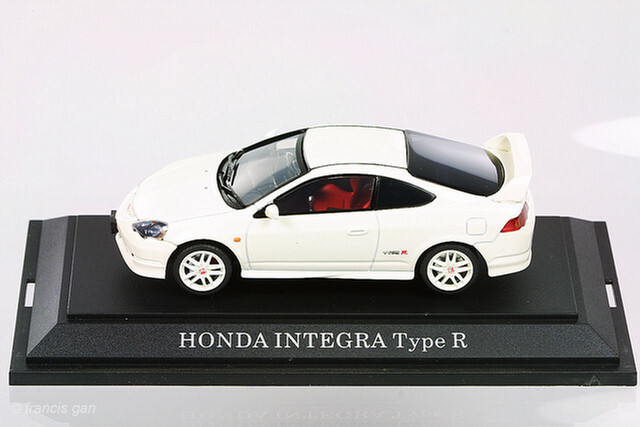 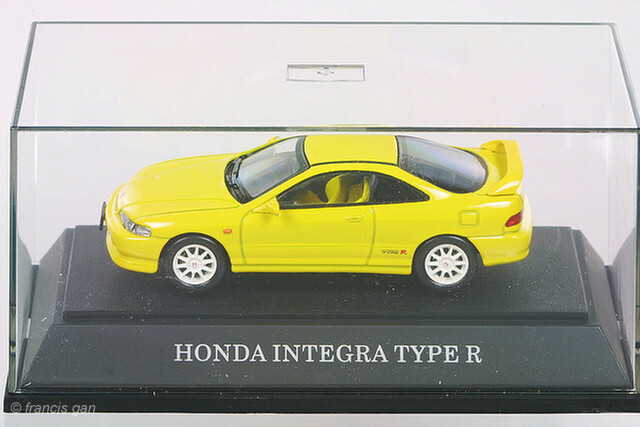 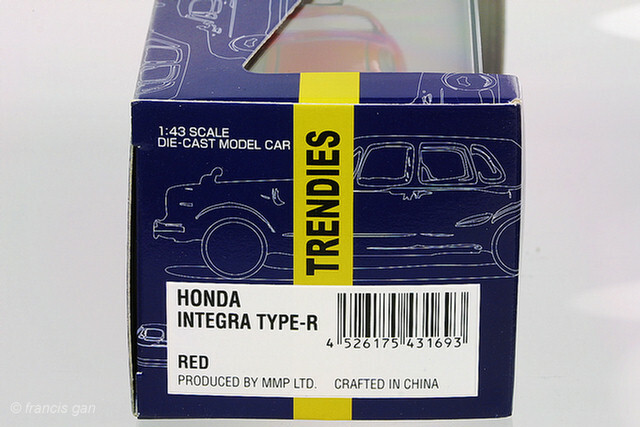 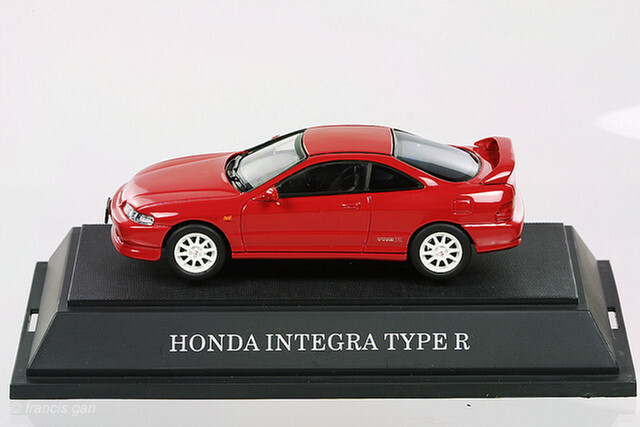 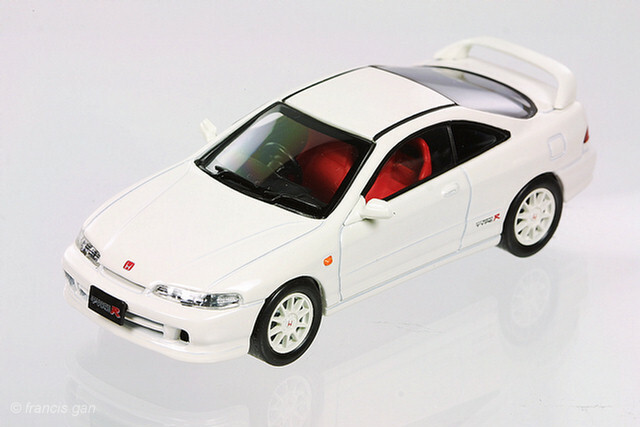 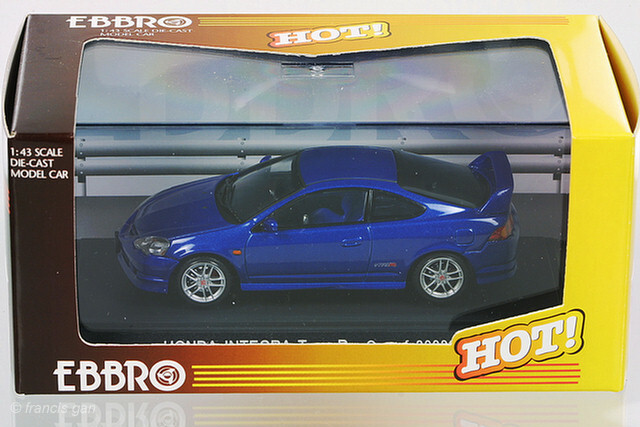 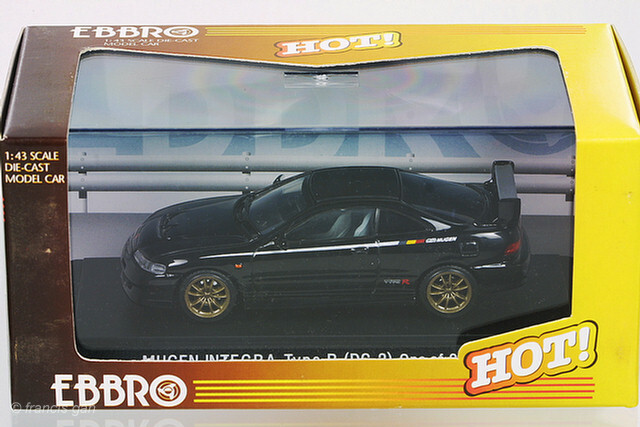 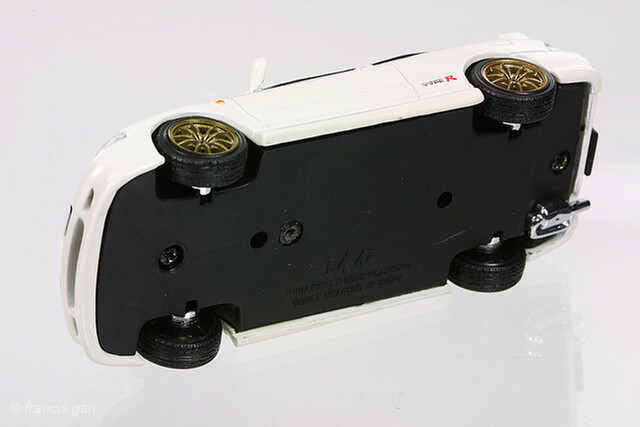 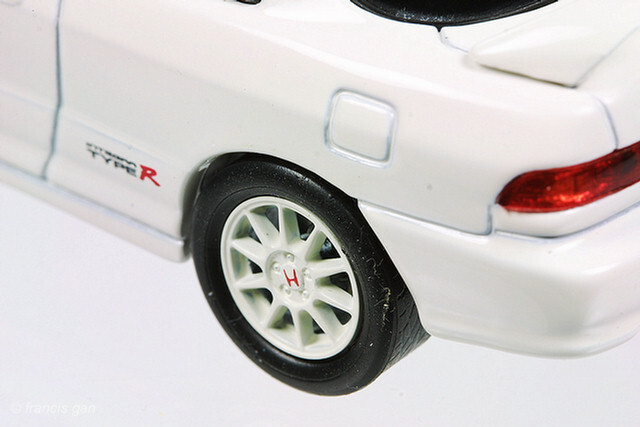 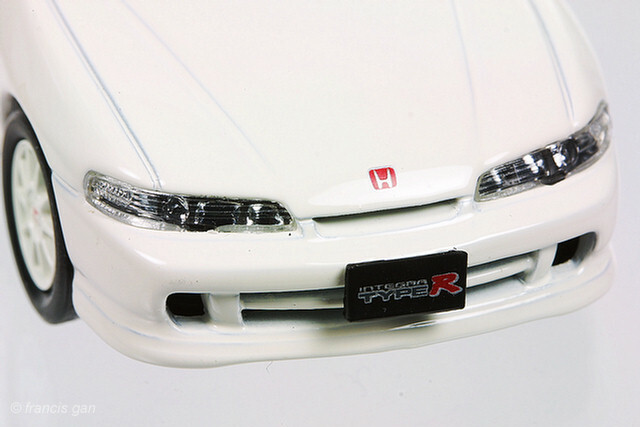 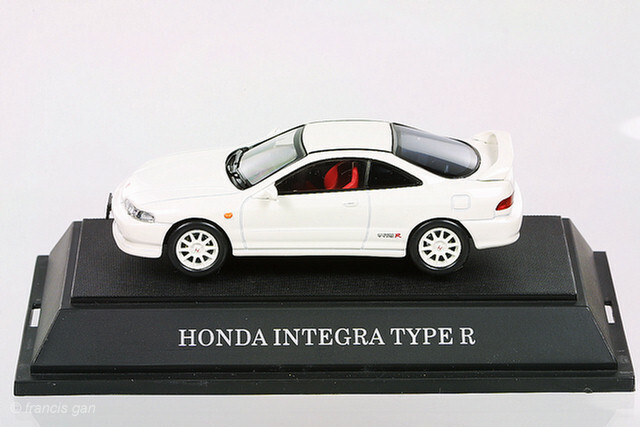 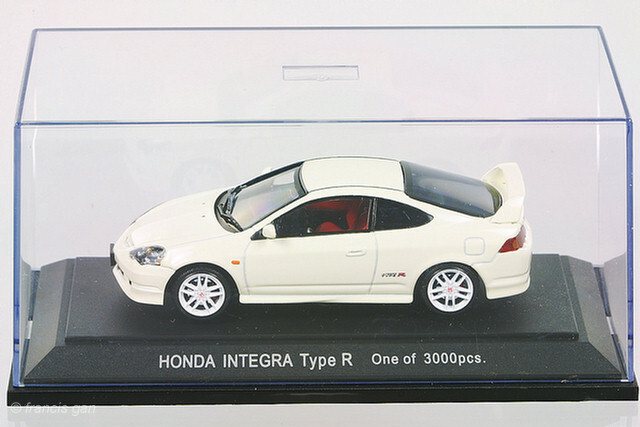 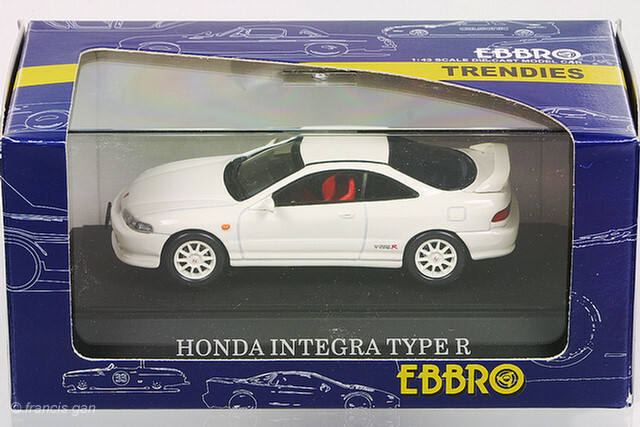 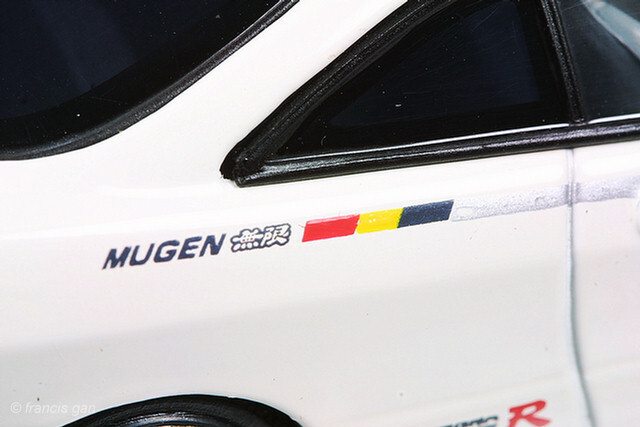 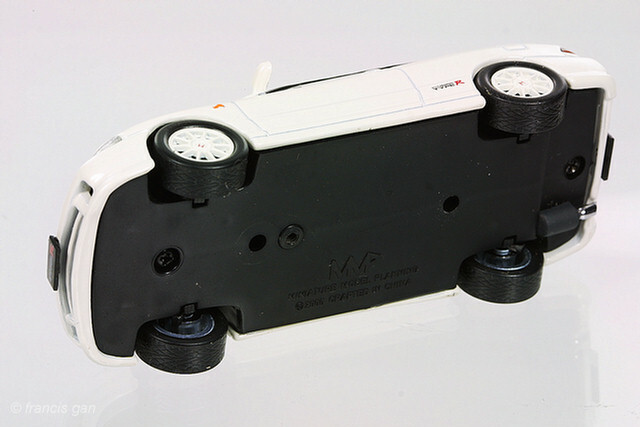 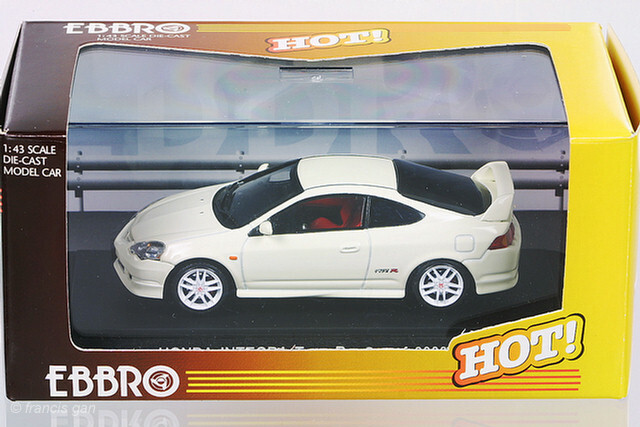 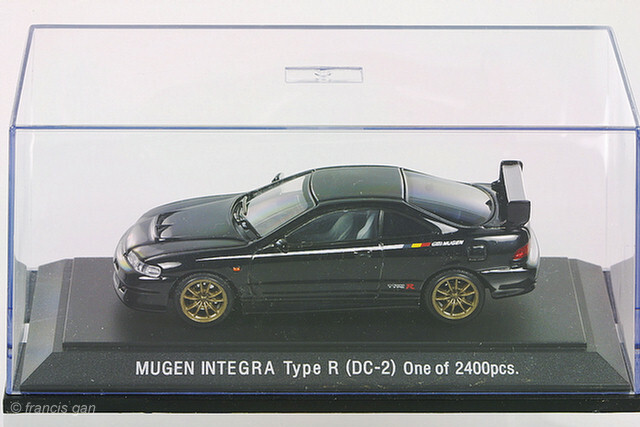 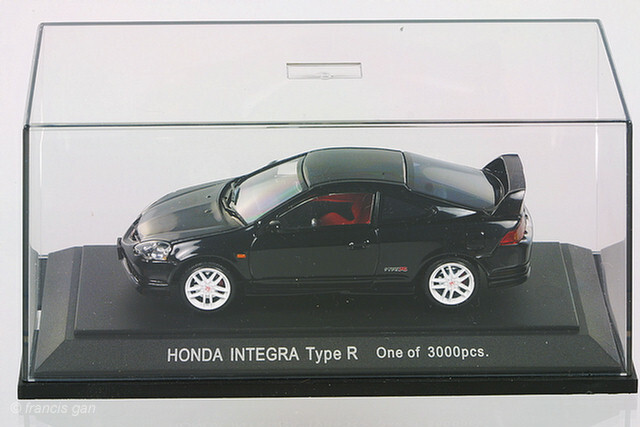 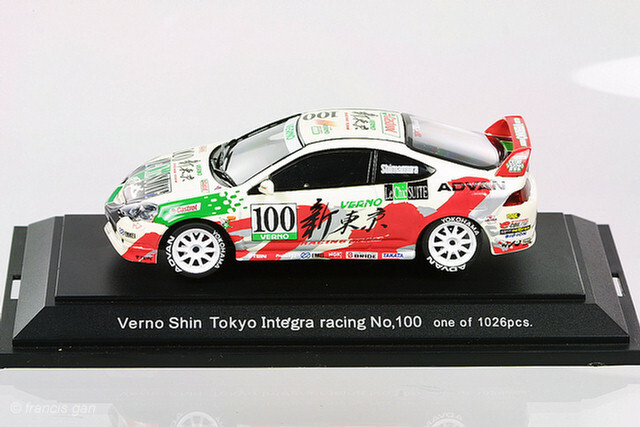 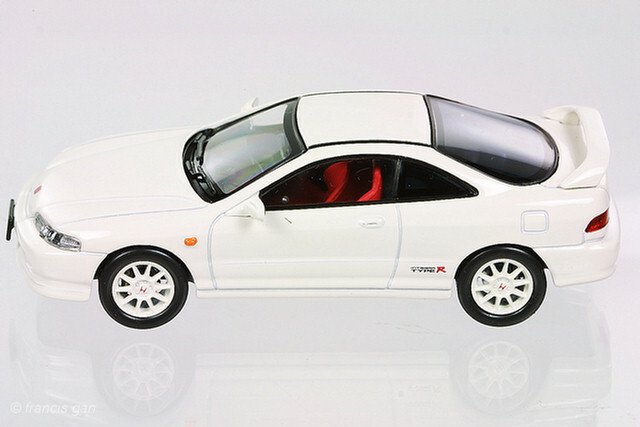 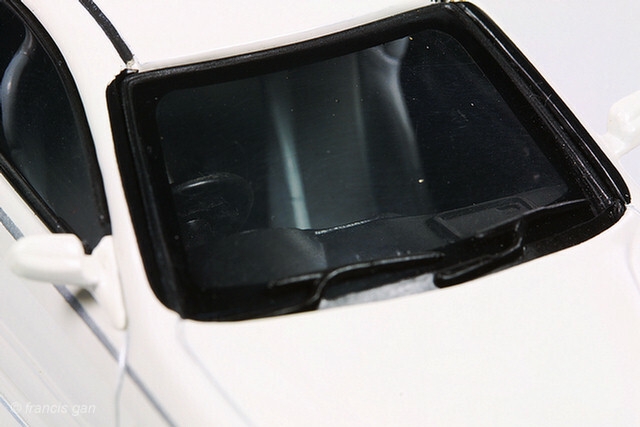 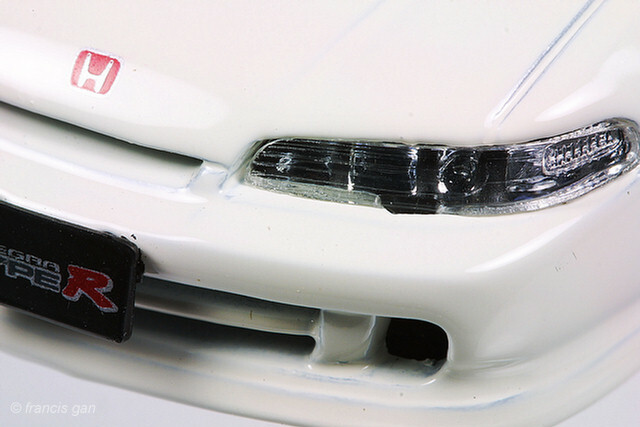 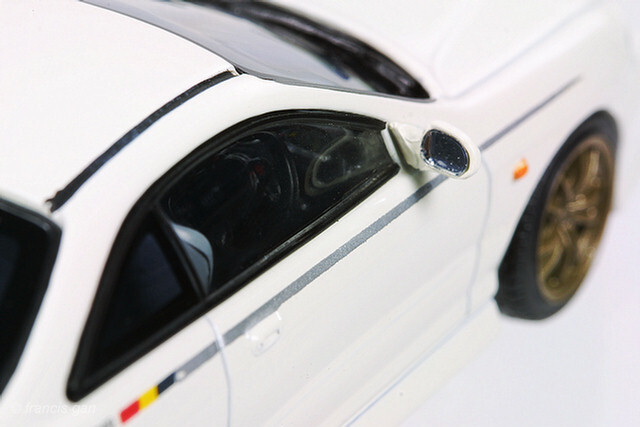 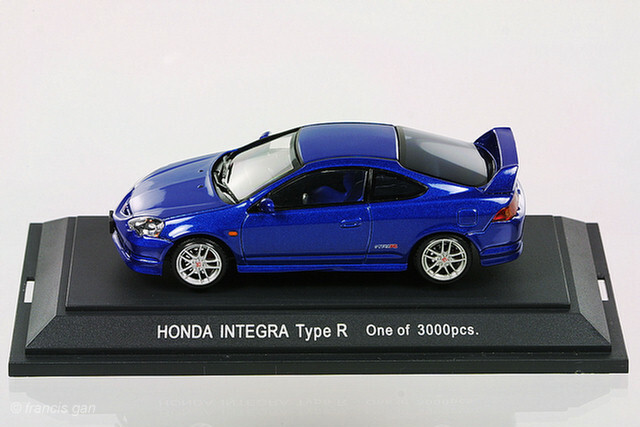 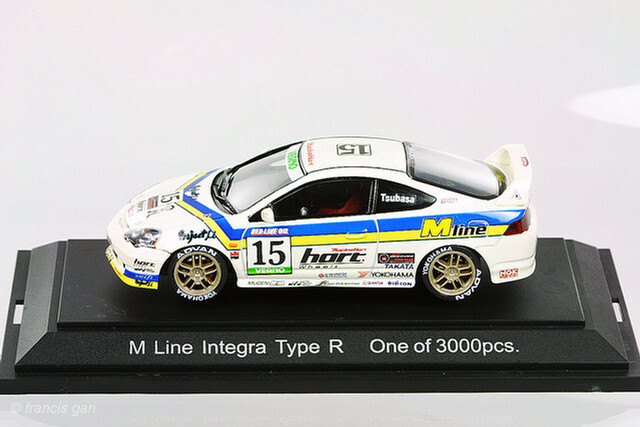 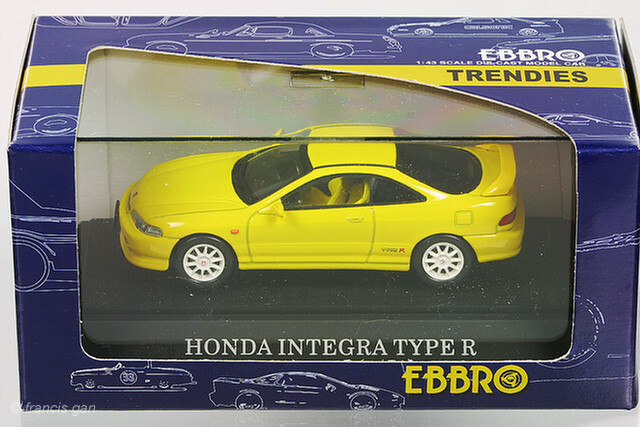 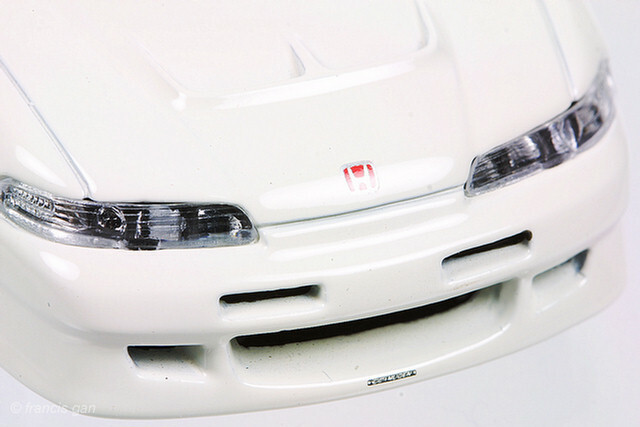 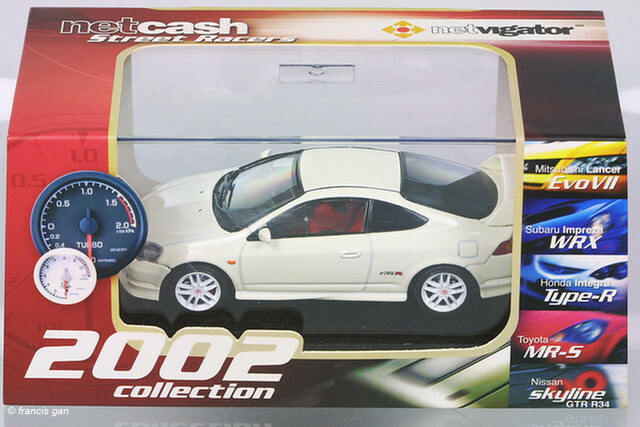 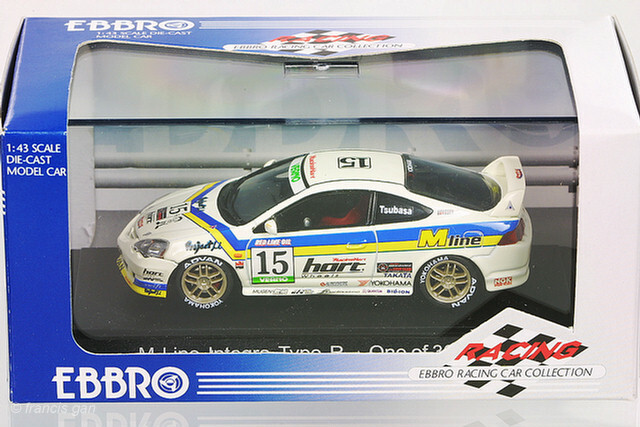 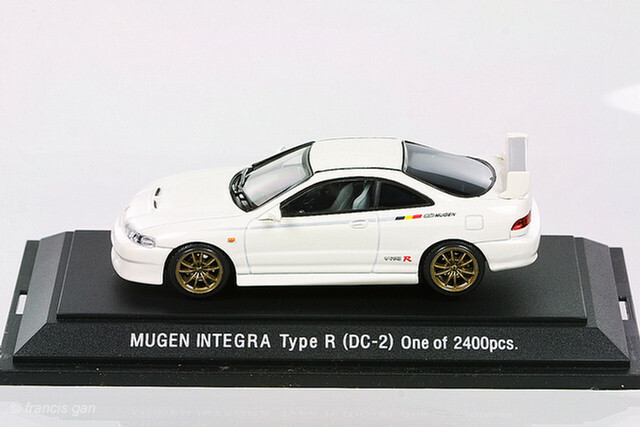 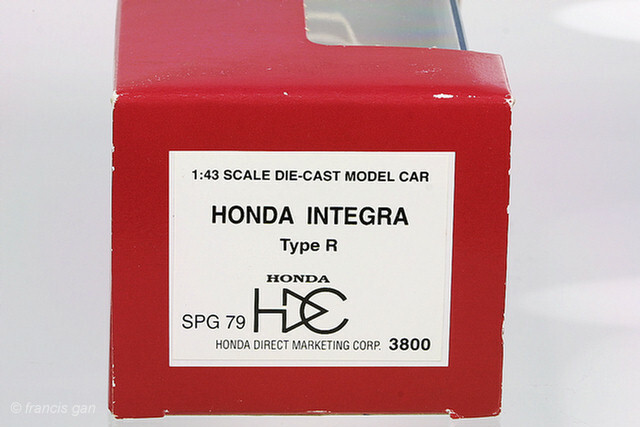 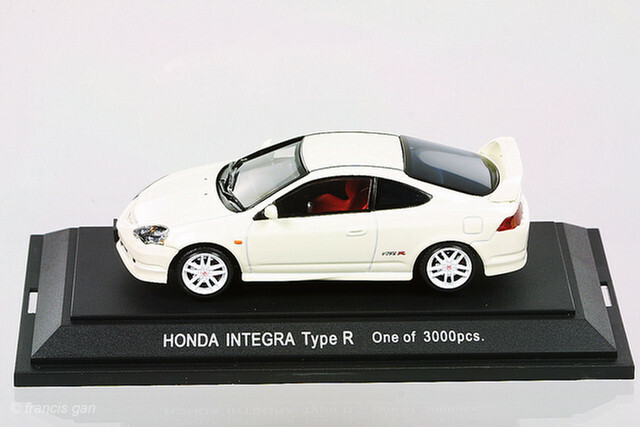 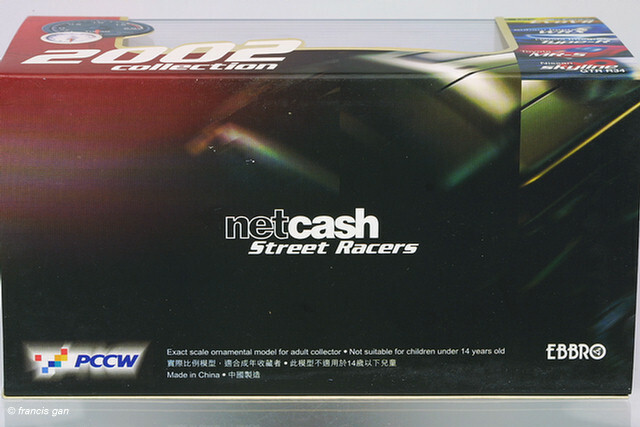 Ebbro has both the DC2 and DC5 versions of the Integra/RSX in 1:43. 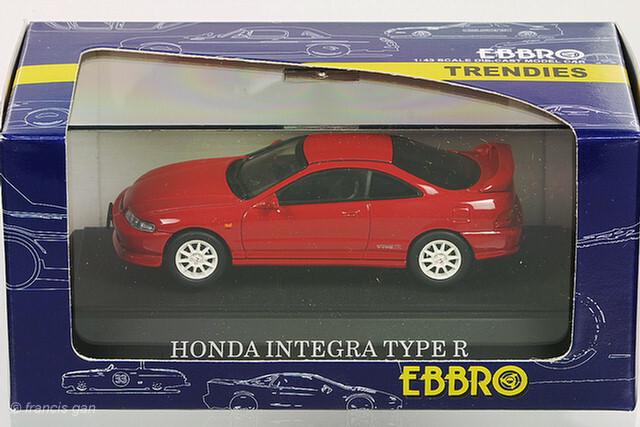 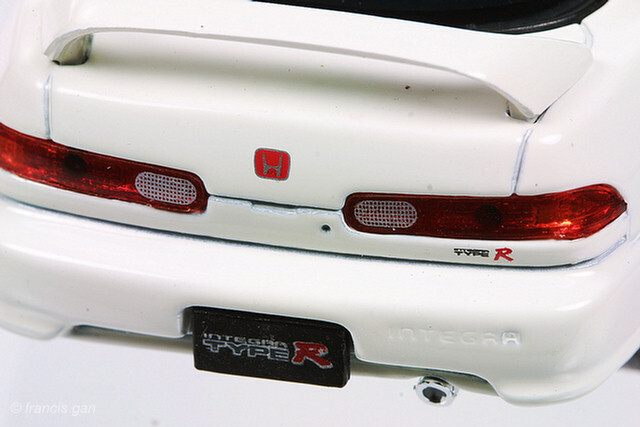 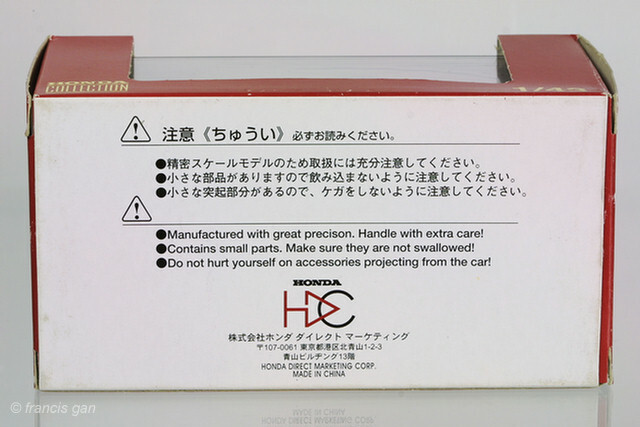 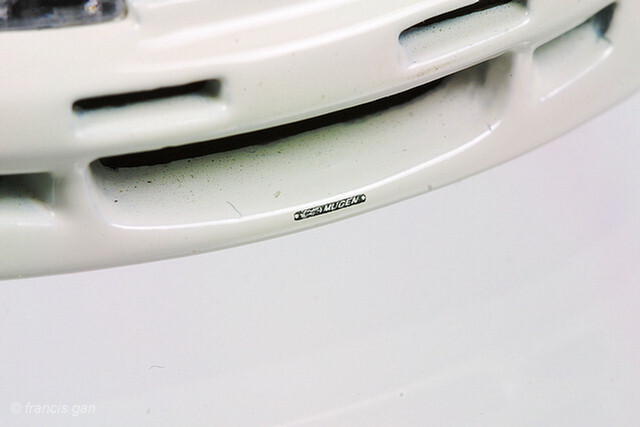 The DC2 Integra Type R did not have any detail on the bottom, as was typical with Ebbros of the time. 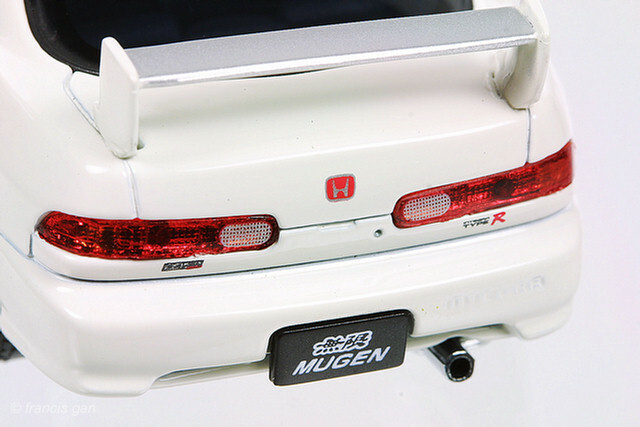 A variation included Mugen versions. 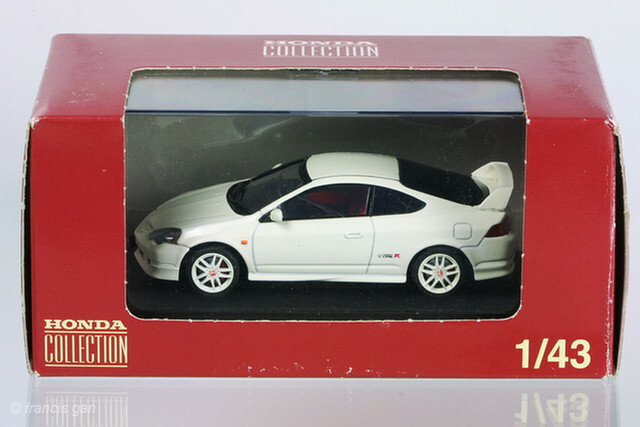 The DC5 Integra Type R came in both street as well as race versions.